(19615.48, Oklahoma Historical Society Glass Plate Collection, OHS). A mixed-blood Cherokee born in the Southeast on December 25, 1796, John Thompson Drew was a prominent political and military leader of the Cherokee Nation. 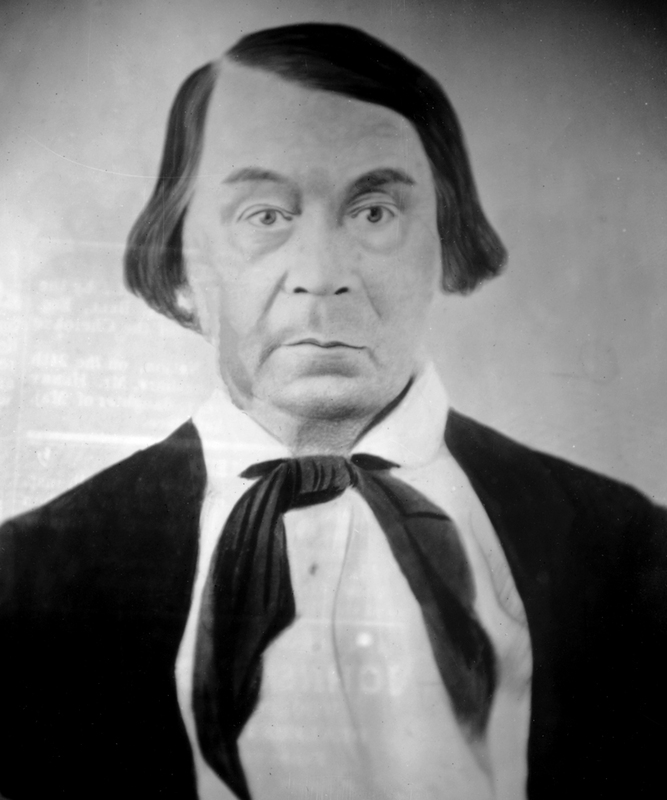 Drew helped form the government that in Indian Territory in 1839 united his Old Settler Cherokee emigrés with the recently removed Eastern Cherokees. He was a dealer in grain, beef, and slaves, and he served several times as a Cherokee senator and legal advisor. As a Cherokee-Confederate alliance neared in 1861, Drew, one of the few leaders acceptable to various Cherokee factions, was designated a colonel and was given command of the First Cherokee Mounted Rifles. However, most of the regiment deserted by 1862 rather than fight fellow Indians who had sided with the Union. Drew appears to have fled to the Chickasaw Nation by 1864. He returned home when the Civil War ended and died at Fort Gibson in August 1865. Marguerite McFadden, "Colonel John Thompson Drew: Cherokee Cavalier," The Chronicles of Oklahoma 59 (Spring 1981). Gary E. Moulton, ed., The Papers of Chief John Ross, Vol. 2, 1840–1866 (Norman: University of Oklahoma Press, 1985). Michael A. Hughes, "Drew, John Thompson," The Encyclopedia of Oklahoma History and Culture, https://www.okhistory.org/publications/enc/entry.php?entry=DR002.